Holden has some really cute words and saying these days...she is obsessed with "Peeda Bubber" and I recently realized that she thinks it means both peanut butter (like on toast) as well as moyer buyers (granola bars). We had to go through a couple tantrums to understand why she was so upset, crying "Peeda bubber" when I had just given her toast with peanut butter. She wanted a "moyer buyer". You following all that? Total devastation until we figured it out. Ha. She also has recently taken to calling me "Mommydaddy". Yes, really. She calls Bennett "daddy" and for the last 3-4 days, she has referred to me as "mommydaddy". Kids are so funny- I would love to know what her thought process is and how she came to this. And Davis, of course, has his own Davis-isms. Lately, he is always saying this to me: "Mom. I need to tell you a question." When we were little, movies were mainly featured on TV randomly, and then later, you could rent them at your neighborhood Pop-N-Go. So it was pretty exciting to see a movie on TV- it was an event. At least my mom made it an event...she would always talk it up, make a plate of snacks (hors devores as I called them) and we would have movie night. Recently, I saw on Disney, that a new movie of "Jake and the Neverland Pirates" was premiering on TV on the 28th. I got really excited thinking about sort of recreating movie night with Davis and Holden. We talked about it a lot on the way home from Duluth...and when the kids fell asleep, Bennett and I talked about it, and how I wanted to make it really fun. Since we had just been to Adventure Zone, we had some leftover gold tokens...I mean "Gold Dubloons" that we decided Davis would have to earn in order to buy popcorn and candy from the pirate boss. 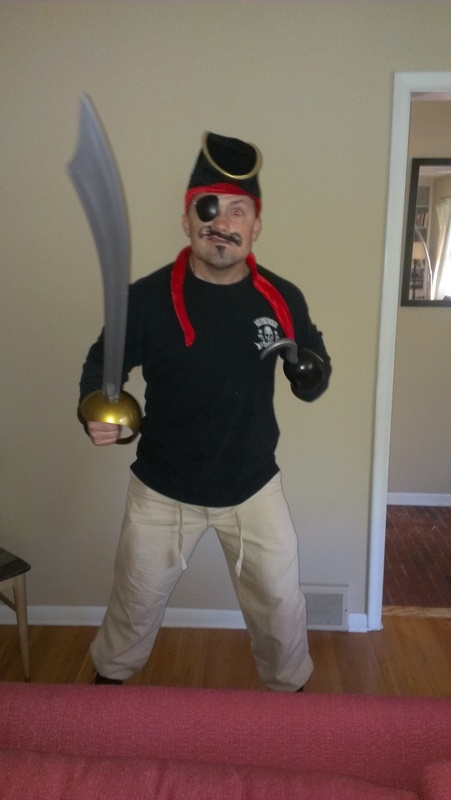 Bennett, of course was going to be the pirate boss...but I had no idea how far he would take this. I took Davis to get his haircut and we also ran to Target to pick out the candies for movie night. When we got home- there was a full-on pirate boss at our house...Davis' eyes were so shocked, amazed, impressed. He couldn't believe how his dad looked and how he was acting- he had a real pirate, with a sword and a hook IN. HIS. HOUSE. And Holden, with all the shouting and ARRRGH! MATEYS! I thought she would be afraid, but she didn't even blink an eye. We had so much fun. That's why I love Bennett- he always makes everything so fun. Some blurry pics- but I was having too much fun to worry about it. 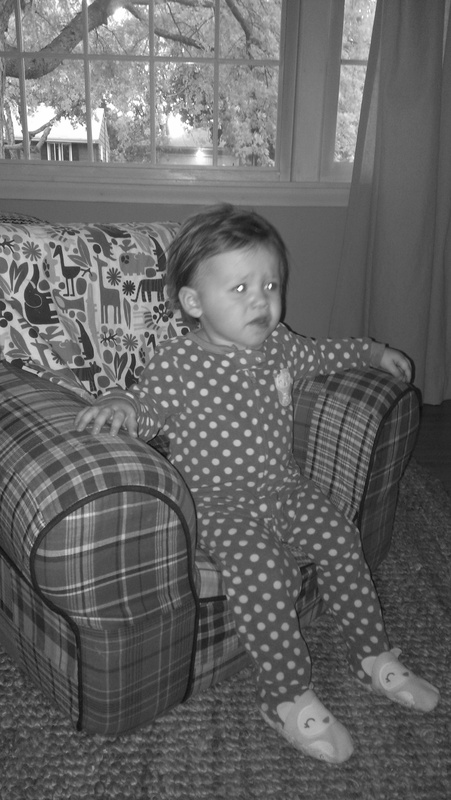 This last pic shows Holden's face after I had to take her 2nd bowl of copcorn away. She kept spilling it, stomping on it, and then saying "Yucky copcorn. EWW." hehe.